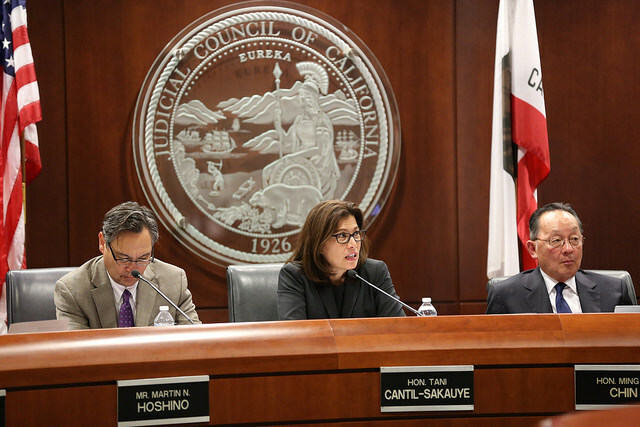 Chief Justice Cantil-Sakauye directs immediate Judicial Council action on four recommendations from the Futures Commission. 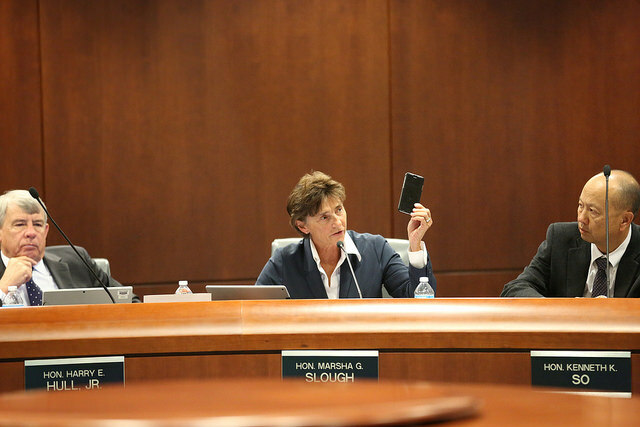 The council hears update from Justice Marsha Slough, chair of the council's Technology Committe. 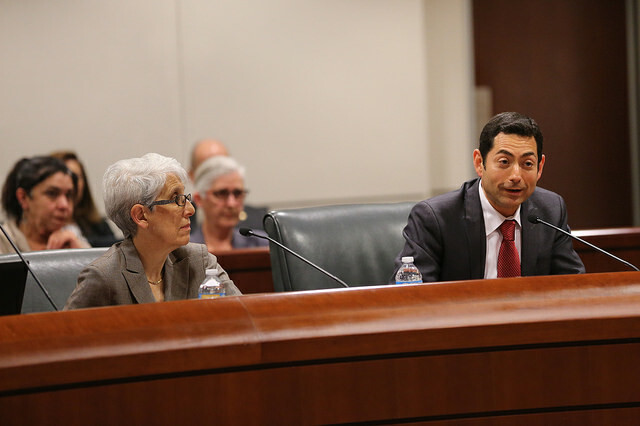 Justie Laurie D. Zelon and Justice Tino Cuellar update the council on efforts to improve language access in the courts. Members of the Superior Court of Solano County Mentorship Program pay a visit to the Judical Council and sit in on the meeting. SAN FRANCISCO--The Judicial Council at its May 18-19 business meeting approved recommendations to temporarily modify how it distributes funding to small courts for court-appointed attorneys in juvenile dependency cases. Pursuant to the new funding model, more than $1 million will be shifted from large courts to small courts in each of the next two fiscal years. Funding for dependency counsel is provided through the state budget and is allocated by the Judicial Council based on formulas developed by a council committee. The council calculates it needs a total of $202.9 million statewide to adequately fund court-appointed dependency counsel for local courts but currently receives only $114.7 million.